CHEMPLAY comprises of 56 cards with 10 Wild cards. The card layout includes an image highlighting the application, chemical symbol, atomic number, atomic mass, and valency of the element (Figure 1). Additionally, it includes three salient features pertaining to physical and chemical properties and common applications. 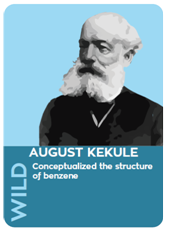 The Wild cards include famous scientists who have contributed to the field of chemistry (Figure 2). The graphics wizard at TCTD – Ms. Mrunal Phansalkar has given an attractive outlook to the cards. It not only lures the players but is also relevant to the theme (Figure 3). The first game focuses on arranging the cards in the sequence based on the atomic numbers and is played with 4-5 players. The cards are shuffled and six cards are distributed to each player. The players rearrange the cards to form a sequence based on the atomic number. The player can take the card from the top of the discarded pile or draw it from the pile. In either case the player has to discard one card in return. Wild cards can be used as a replacement for the missing cards in a sequence. The player who is done with a sequence first is the winner. Points are based on atomic masses. Each Wild card has 50 points and the winner gets 200 points in addition to the ones calculated in the sequence. This game is not only fun to play but also helps the students remember the atomic numbers and atomic masses of the first twenty elements. The second game is based on formation of simple compounds between metals and non-metals. The game is played with 4-5 players. Six cards are distributed to each player. The players have to pair up the cards to make a compound. The player can take the card from the top of the discarded pile or draw it from the pile. In either case, the player has to discard one card in return. The players are supposed to get rid of the Inert cards. Wild cards can be used as a replacement for the missing card in the compound. The player who has formed a compound first is the winner. Points are calculated based on the atomic masses and the criss-cross rule. 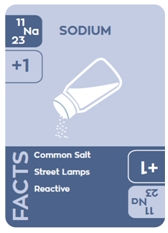 This game introduces the students to the concept of forming simple compounds and also highlights the significance of valency. These games were tried out in New Era Senior Secondary School – one of the elite schools of Vadodara, Gujarat, in three sections, each comprising of 40 students. The feedback obtained from the students and the teachers was excellent. TCTD plans to try it out in few other schools before freezing the design. Dr. Nitin Bhate, Mrs. Pradnya Gokhale, and Mrs. Shalini Kumar have conceptualised these games. [PhD, Chem.E, 2008, H1] Nitin started his career as a project engineer in a consultancy firm. He then moved on to become a Lecturer in Dept. of Chemical Engg., M.S.U. Baroda. Currently, Nitin is an Associate Professor at M.S.U. He has authored books in the field of Chemical Engineering. Nitin is passionate about acquiring new knowledge and developing new skills.